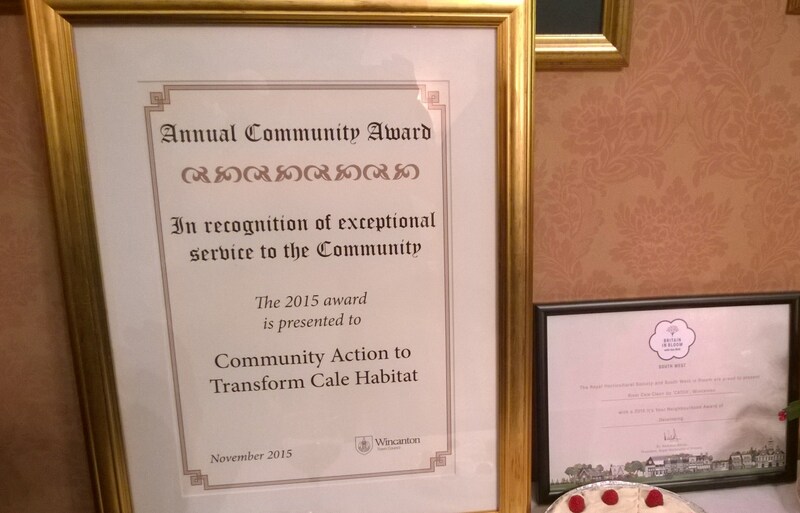 It was with great pride that on Saturday 14th November 2015 representatives from C.A.T.C.H. 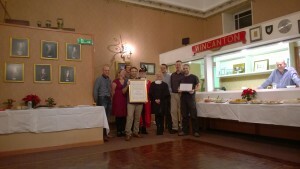 attended a Civic Reception at Wincanton Town Hall. 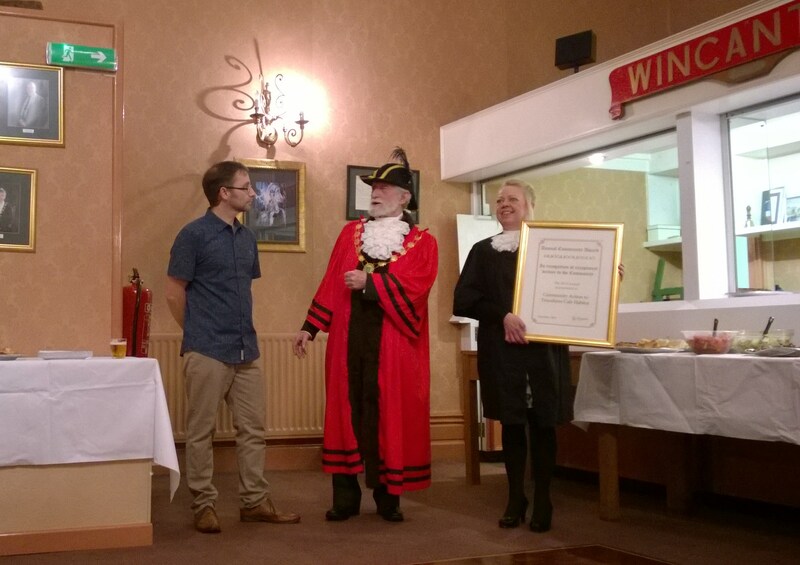 Chairman Gary Hunt receives the award from the Mayor. 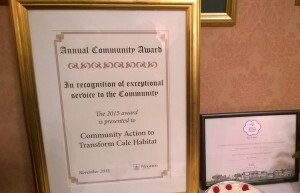 The main event of the evening was the presentation of the Annual Town Community Award which C.A.T.C.H were very honoured to receive. Through this report we would like to pass on our sincere thanks to everyone that has, throughout the year, helped the group in a variety of ways. We strongly believe that this award is not just for C.A.T.C.H. but for everyone who has helped throughout another amazing year. A big ‘thank you’, to the Town Council for the award and also to all those that have supported and worked with the group. Part of the CATCH team. We were doubly humbled by receipt of a ‘Neighbourhood Award of Developing 2015’, certificate from The Royal Horticultural Society South West and South West in Bloom. 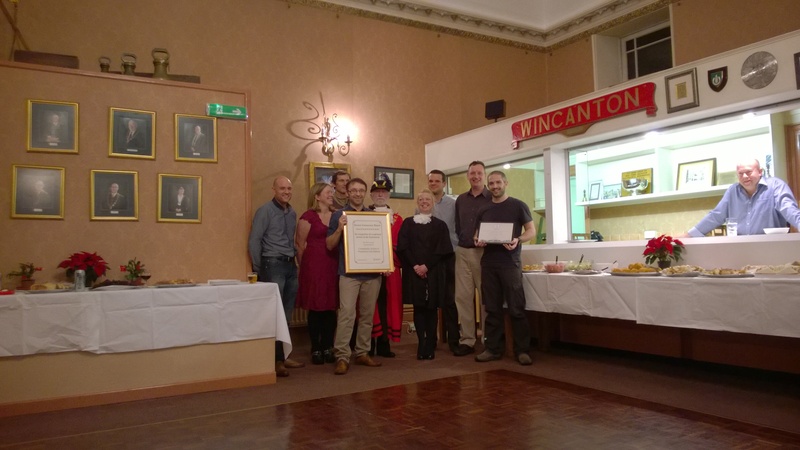 A short video of the presentation is available on Facebook, courtesy of Nicholas Spragg.